Raising quality bred Boxer puppies since 2004! We are happy to be able to provide delivery options through a family owned business that is focused on safe transportation of family pets and conveniently located in the state of Missouri. We are able to offer delivery by ground to St. Louis, MO and areas close to Kansas City, MO as well as select areas in between. 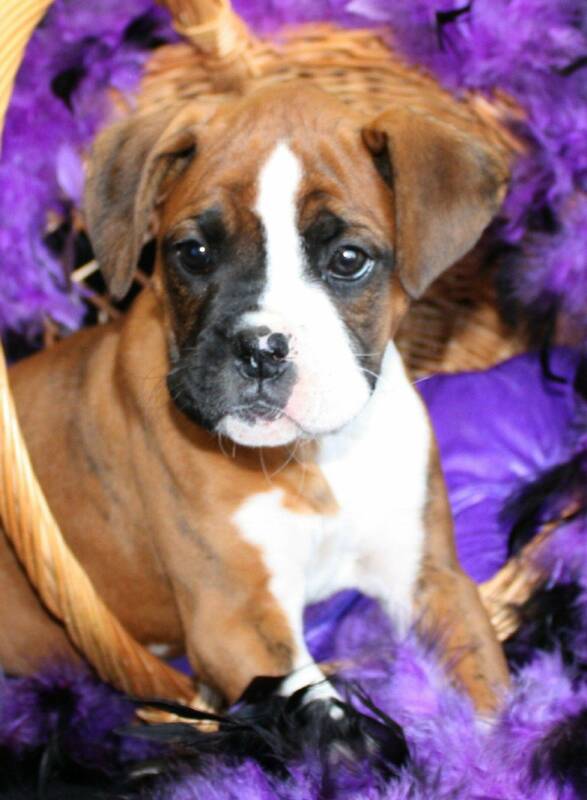 The fee for ground delivery on most 8-9 week old Boxer puppies is $100 and includes a kennel that is yours to keep. This option is available with pick-up being on Mondays of each week in St. Louis or Tuesdays for Nevada, MO (as close to Kansas City as we can currently get). Transportation via the airlines is currently available using our Professional Transporter and a Puppy Nanny Service that will fly in cabin with your baby and hand deliver him/her to you at the airport nearest your location. Our babies will be transported to St. Louis MO by our Professional Transporter where they will be picked up by the assigned Puppy Nanny. Your baby will then fly in the passenger cabin to your closest available airport with the Puppy Nanny and you will pick him/her up in a designated meeting place. The flight arrangements are made by our Professional Transporter and the Puppy Nanny Service and are then sent to you via email or text. This option is available with delivery on Tuesday's of each week and the cost is $600. If you are located within driving distance of Mountain Home, AR you are always welcome to pick your puppy up in person! We are more than happy to meet you in a public setting for the delivery of your puppy on most days of the week. If you are not close enough to St. Louis or Kansas City, MO to use the Professional Transport options listed above or cannot be present on a week-day to pick your puppy up, ask us about options to meet you part of the way! Our delivery fee is based on the current standard mileage rate of 54 cents per mile and is calculated from Mountain Home, AR to the designated meeting place based on the distance given by Google Maps. Our availability for this option revolves around the school hours and activities of our kids, and is very limited; but we will do our best to work with you and come up with a delivery date and time that suits everyone! We do make frequent trips to West Plains, MO and can often meet there. If you need us to arrange hand deliver of your puppy using a ground transport company, we will arrange for several quotes and book the company you select. The charge for this service varies based on your location and where we meet the transport company. The quotes range greatly in price due to the location of each individual company. We strive to use companies with great reviews when this is the preferred delivery option. On occasion we have received requests for a puppy to stay with us for an additional amount of time. If you cannot take ownership of your puppy when they reach 8 weeks of age, we are willing to keep your puppy here with us until you are available for delivery. Our fee for this service is $10/day or $60/week. This only applies to situations where you need us to board your puppy for additional days or weeks after your puppy has reached 8 weeks of age. In order for us to arrange delivery, we do give a 3 day grace period for delivery after each puppy reaches 8 weeks of age or a 3 day grace period after your purchase if your puppy is already 8 weeks of age at the time of purchase. If a delayed delivery is due to transportation limitations or a scheduling conflict on our end, we will not charge for boarding as long as you can take delivery of your puppy on the first available delivery date after your puppy turns 8 weeks of age. If you have any questions, please don't hesitate to reach out to us by phone/text at 417.293.6061.